As a Senior Data Systems, you work with Business Analysts and Data Scientists, providing them data structures they can use to build automated analytics solutions. You have experience with deployment (It’s a big plus if you’ve got experience with tools like AWS CloudFormation, Puppet or Ansible). Ridiculously good training opportunities through our Coolcademy. 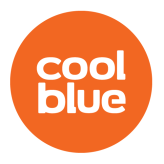 Want to get notified about new jobs at Coolblue?